A new RepRisk report on last year’s top 10 most controversial projects highlights the costs of corporate irresponsibility. Port of Abbot Point file photo (c) North Queensland Bulk Ports Corp.
An industrial project that could devastate the Great Barrier Reef, the 2022 World Cup in Qatar, a Canadian mine and an American power plant are among the 10 most controversial projects of 2014, according to a report released this month by RepRisk, a business intelligence service. The report aims to increase awareness of business risks posed by environmental degradation, human rights issues and bribery, among other environmental, social and governance (ESG) issues, and underscores the reasons why investors are placing a growing emphasis on non-financial risks. 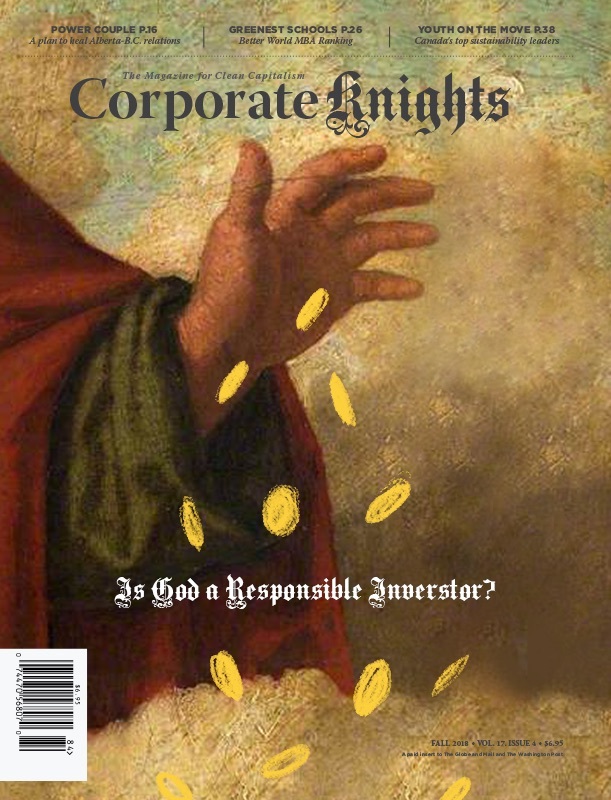 Controversies related to ESG issues “can have an impact on project finance, underwriting, investment and supplier-related activities,” said Reprisk CEO Philipp Aeby in the foreword to the report. The report ranked projects using RepRisk’s database, which contains information on ESG controversies related to specific projects and incidents involving more than 50,000 companies from a variety of sources, including newspapers, NGOs, government agencies, blogs and social media. RepRisk used algorithms to generate the list of controversial project by analyzing various factors, including the frequency and severity of controversial ESG issues, ranging from fatal workplace accidents to misleading public relations campaigns. The Kunshan Zhongrong Metal Plating Factory, a Chinese factory that supplied wheels to General Motors, Volkswagen and Mitsubishi, topped the list of 2014’s most controversial projects. In August 2014, a build-up of aluminum dust on the premises caused a massive explosion that killed 146 people. Since the factory allegedly ignored repeated warnings from local work safety authorities about the risk posed by metal particles, high-level management were arrested after the accident, the report said. Fifteen local government officials also currently face prosecution. Four other projects on the list also involved tragic accidents, often foreshadowed by workers’ warnings to management. One such case, described as the worst environmental catastrophe in Canadian mining history, took place in British Columbia during the summer of 2014 and ranked number six on the list. A dam holding back the tailings pond of the Mount Polley copper and gold mine leaked about 2,000 Olympic-sized swimming pools worth of mining waste into local lakes. As arsenic, mercury and sulfur seeped into the water, the government banned the use of water from the entire river system connected to the lakes and experts feared the impact it would have on wildlife. 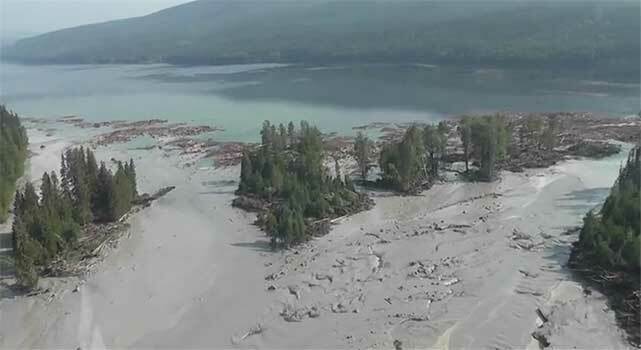 Aerial footage of the Mount Polley disaster. Source: Cariboo Regional District, Youtube. The fallout caused by another toxic leak south of the border stirred enough controversy to make the last spot on RepRisk’s list. In February 2014, a storm water pipe at a steam station owned by Duke Energy in North Carolina burst and caused the third largest spill in US history as it spewed coal ash into the Dan River. The accident cost the American economy at least US$70 million in damages, estimated the US Forest Service. Just few months later, locals charged that their drinking water had been contaminated by the Dan River plant for years, causing cancer, birth defects and heavy-metal contamination. The plant, they alleged, had been releasing toxic substances in violation of state standards since 2011 and the government authorities that knew had done nothing about it. Authorities have since ordered Duke Energy to close four plants, including its Dan River operation, by August 2019. In addition to workplace accidents, the report discussed the social and political fall-out that can be caused by large sporting events. The 2014 World Cup in Brazil and the 2014 Sochi Winter Olympics had a higher controversy ranking than some of the projects featured in the report, but were dropped because they are now complete, the report said. 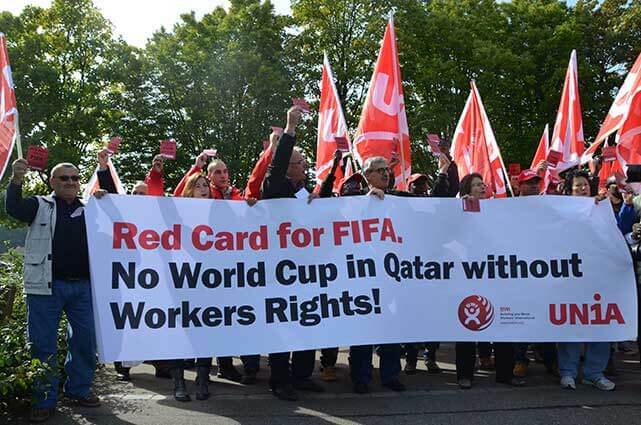 Meanwhile, the preparations for the 2022 World Cup in Qatar, which was ranked number five on the list, have been tarnished by a plethora of issues including reports of the abuse of migrant workers, allegations of corruption and ties to al-Qaeda. The controversy has led some, including British Members of Parliament, to call for the tournament to be moved elsewhere. In contrast to the disasters above, one project on the list suffered for the danger it was expected to cause. 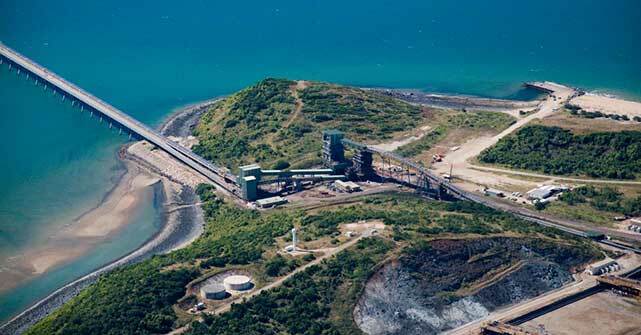 The Abbot Point Port Expansion Project, which would increase Australia’s capacity to transport natural gas and coal to Asia, tied for the number three spot on the list because of concerns it would harm the Great Barrier Reef. After months of campaigning and protesting by environmental groups, Deutsche Bank and HSBC pulled out their investments from the project at the end of 2014. Two mines, a resort in Korea, a port in China and the Moscow Metro were also featured in the report. If there’s anything these diverse projects indicate, paying attention to environmental concerns, social issues and workplace safety isn’t just about corporate social responsibility or being a nice employer. It makes good economic sense.